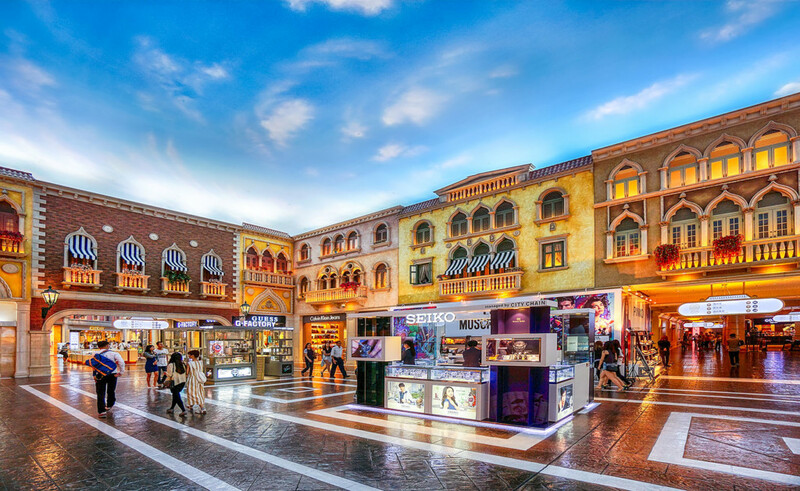 The original Venice is in Italy, the second Venice in Las Vegas and the third Venice, shown on the photo, is in Macau. There you can see the canals, Italian restaurants end even gondolas with gondoliers. The sky is always blue, the weather still fine and no flooding or dried out canals — nearly the perfect artificial city.